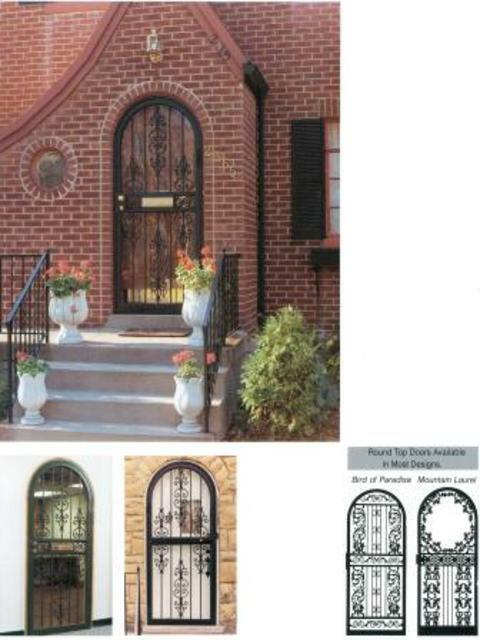 Round, arch or cathedral top doors are avialible in any style and size. We can also do custom transoms and sidelights. 10 stylish powder coated colors. 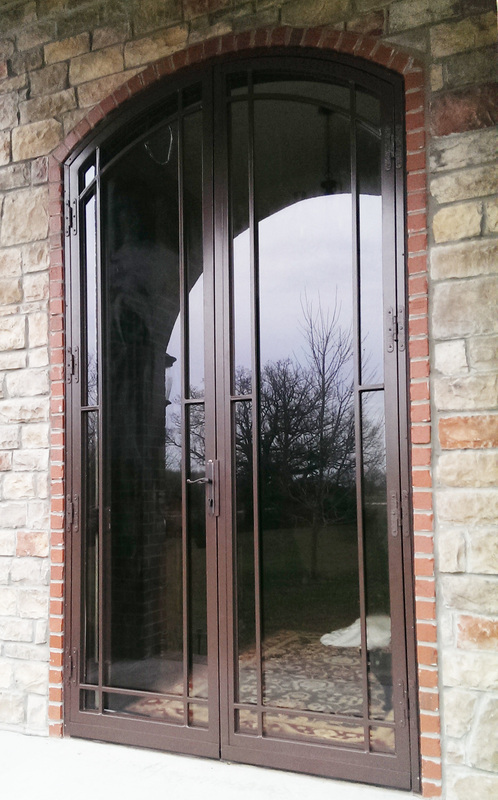 201 Modified Arch Top Double Doors 72" wide x 120" tall opening. This is a good example of the bigger size doors we can make for your home. We can make virtually any style or size to fit your opening. Call for more information at 1-866-790-3667 and ask for Dave Walker, National Sales Manager. 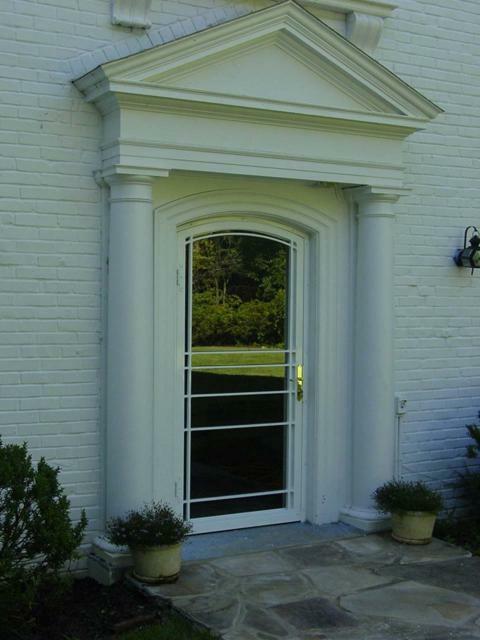 201 Custom Arch Top to fit customers design request on placement of bars to match the prime entrance door. All meausrements need to be take from the top of the brick mold opening for proper alignment. 272 Custom Arch Top double steel security doors are available in any size single, double door with all the lock options and 10 stylish colors. Custom made and delivered in 56 days from date of order.